Inbox Repair Tool is a free in-built tool provided by MS Outlook which is developed to deal with corrupt or damaged Outlook PST files. The Inbox Repair Tool is majorly used to recover corrupt PST and OST files. Most of the times this tool does not give optimum results, although being an in-built facility provided by Microsoft. 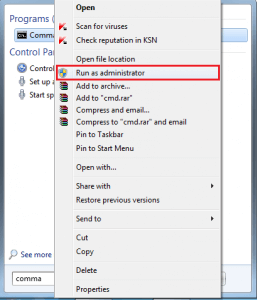 It is a time-consuming process as it requires to run scanpst.exe for at least 5-8 times till the time the tool mention that no errors found in the file. EXCESSIVELY DAMAGED PST FILES –If in cases, where PST files are severely corrupted, scanPST fails to work as it is beyond its capability to perform the recovery process. 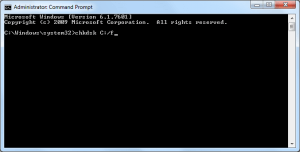 EXCEEDING FILE SIZE LIMIT-This tool has a limited approach while working with damaged files. The application enables the time-consuming recovery of the files with size up to 2 GB and hence most of the heavy PST files are beyond repair by this tool. LOCATION NOT FOUND-While the first time I was searching for scanpst.exe in the Search bar, I was not able to locate it. 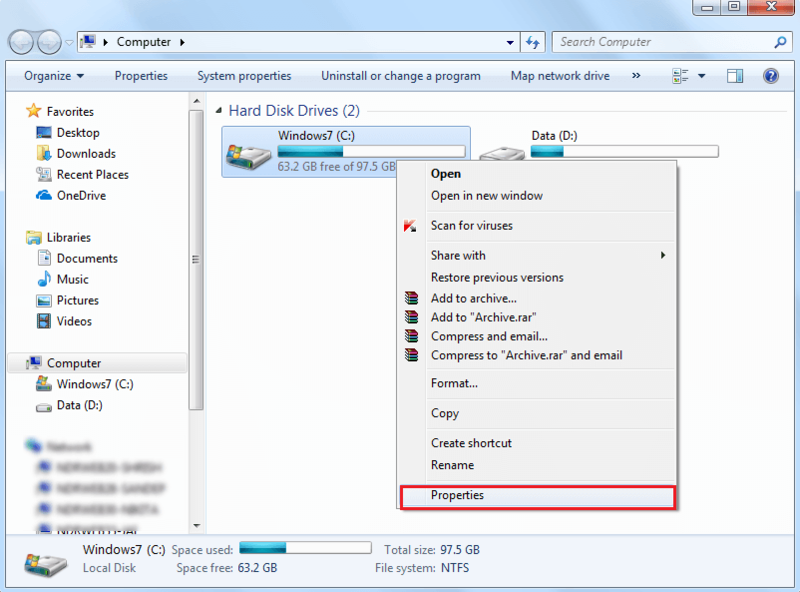 This is the rare case with other local machines as well wherein inbox repair tool is not located on the systems. 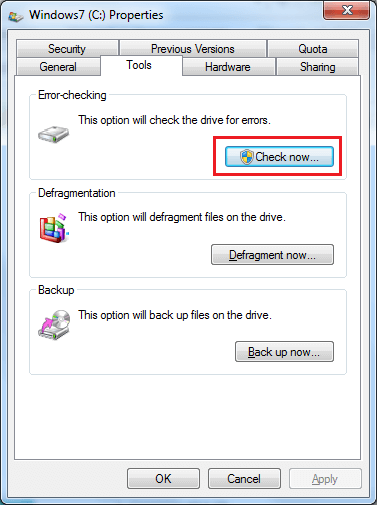 OTHER COMMON ERRORS-Incomplete installation of Outlook, accidental closing of application, broken files, etc. Open command prompt from Start menu, right click on it to select Run as administrator. Type the input, ‘chkdsk /f’ and hit Enter. Follow the instructions given on screen to run the scanning process. Under Properties, select Tools and then click on Check now. In the new dialogue box, select both the check boxes and click Start. 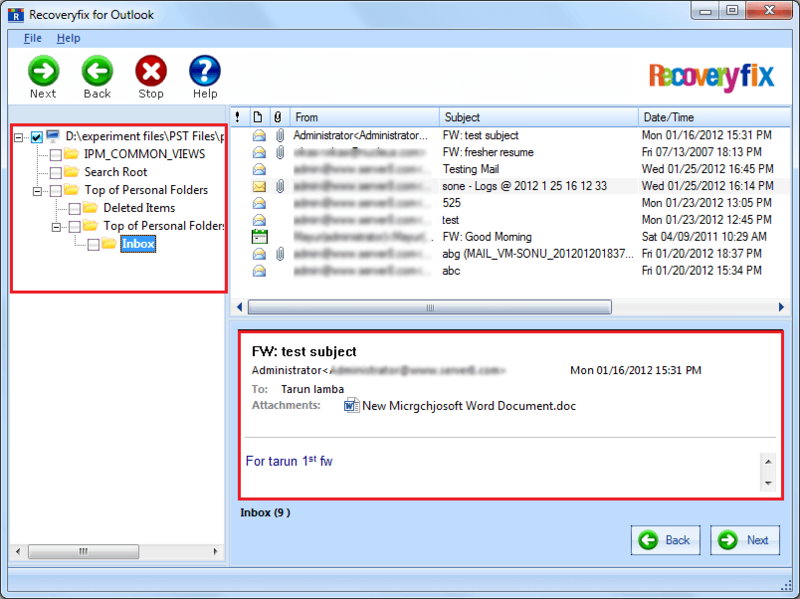 Another remedy to deal with scanPST error is to transport the Outlook PST file to another computer, keeping in mind that the other computer should have the same version of Outlook installed. Next, run the tool on the new system and ensure if the error persists or not. Professional third-party tools are always trusted utilities to handle the errors that are otherwise out of control of the users. 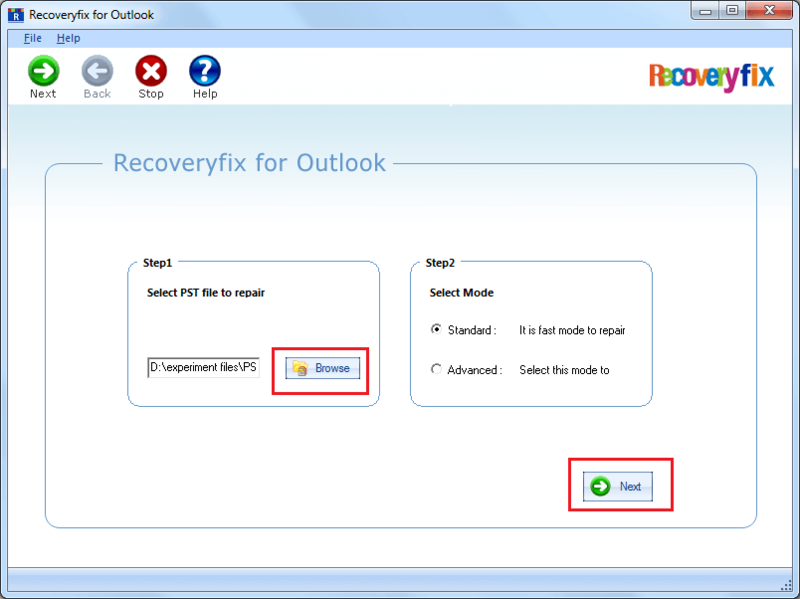 Recoveryfix for Outlook PST Repair is one such tool that has been professionally developed to help successfully repair corrupt PST files when Inbox Repair Tool flashes unexpected errors. The working of this tool is easy to understand and ensures that entire corrupted data is successfully scanned and repaired. 2. Launch the tool and Browse the PST file(s) to be repaired. 3. Within few seconds, it will repair all the corrupt files, with entire folder list with original hierarchy on the right pane. 4. You can also preview any of the repaired file or folder before saving. 5. 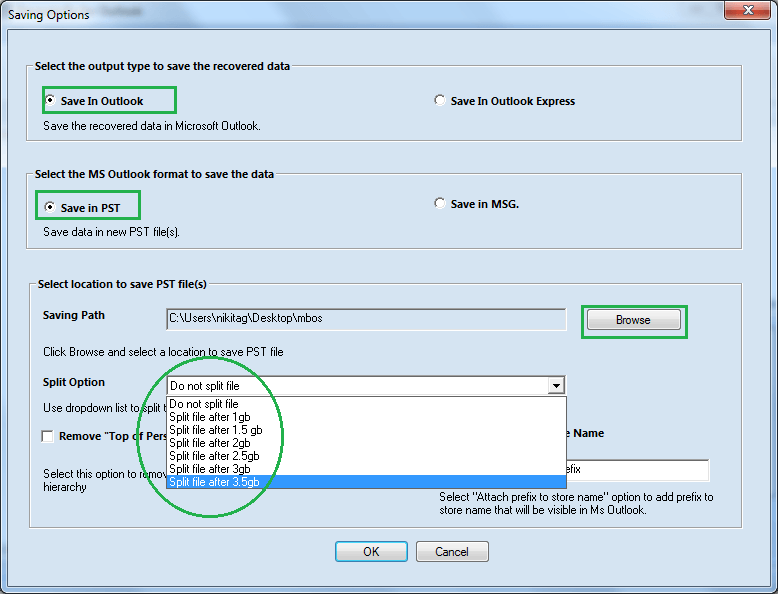 The repaired data can be saved in Outlook, in PST format with file size spilt option facility. 6. You will receive successful completion message once the entire process is completed. 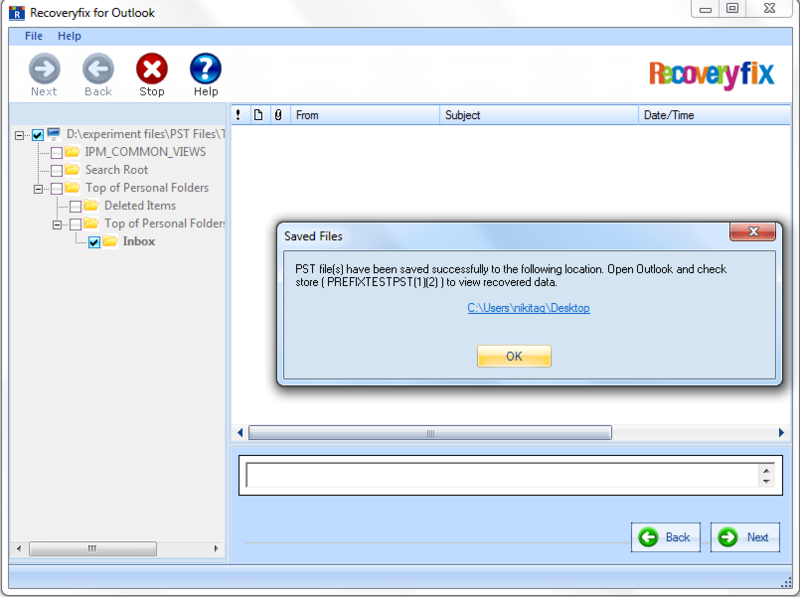 Inbox Repair Tool or scanPST is a pre-installed utility provided by Microsoft Outlook. 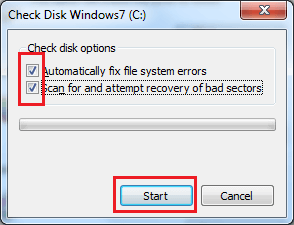 Amongst various manual methods available to repair the damaged files, running scanpst.exe is the last priority because of its inefficient response. Switching to scanPST can also bring run time errors which are rarely solved by native methods. 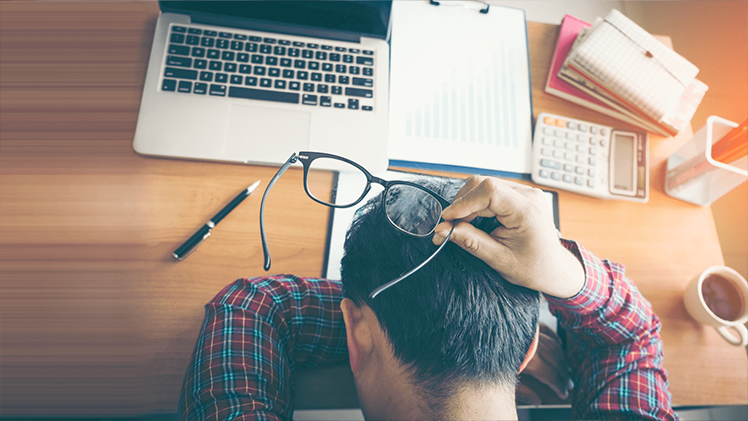 Effective hands on expert tools can work for all the associated errors with damaged PST/OST files. 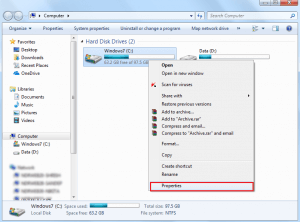 How to Recover Corrupt or Damaged Outlook PST Files?